For decades, the small town of Carpe Diem, Illinois has quietly unschooled its children, eschewing tests and classrooms for real-life experiences. Now, long-smoldering political feuds and deep personal secrets threaten to explode. When her mother is hospitalized in Carpe Diem after an auto accident, teenager Tali Shaw, the daughter of a powerful state senator, finds herself at the heart of a vicious conspiracy to bring Carpe Diem down. Can prize-winning Chicago Examiner reporter Leo Townsend overcome his own demons and expose those behind the scheme before it's too late? And when the truth is finally revealed, can Carpe Diem ever be the same? 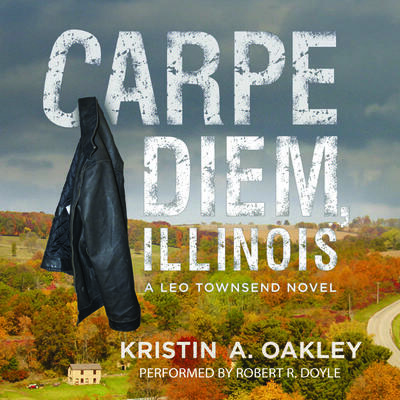 Carpe Diem, Illinois is the winner of the 2014 Chicago Writers Association Book of the Year Award for non-traditionally published fiction, a finalist in the Independent Author Network 2015 Book of the Year Awards, and a runner-up in the 2016 Shelf Unbound Best Indie/Self-Published Book Competition.